Drawing on new research and an impressive range of case studies - from government policy and medical research to healthcare, technology, workplaces, urban planning and the media - this book is a provocative expose of how the infrastructure of our lives is constructed upon biased ... read full description below. Our world is largely built for and by men, in a system that can ignore half the population. This book will tell you how and why this matters In The Other Half, award-winning writer and feminist campaigner Caroline Criado Perez takes on the global gender data gap, which she places at the root of perpetual, systemic discrimination against women; she exposes how this data gap has created a pervasive invisible bias that has a profound effect upon women's lives. In Caroline's words, the book is `a forensic examination of the myriad hidden ways in which women are excluded from the very building blocks of the world we live in, and the impact this has on our health and wellbeing'. Drawing on new research and an impressive range of case studies - from government policy and medical research to healthcare, technology, workplaces, urban planning and the media - this book is a provocative expose of how the infrastructure of our lives is constructed upon biased data excluding half of the world's population. Part data-crunching and analysis, part personal stories, part call-to-arms, The Other Half draws on examples from across the world to detail the huge gaps in our knowledge, looking at the consequences of building a world around the male body and making the case for change. 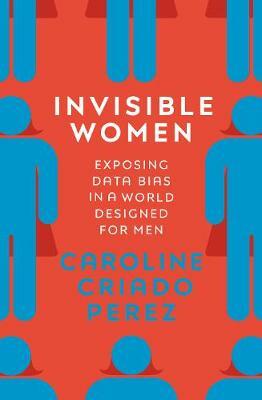 Caroline Criado Perez is a writer, broadcaster and public speaker. She writes across the major national media, most regularly for the New Statesman and the Guardian, and appears in both print and broadcast as a commentator. Her first book, Do it Like a Woman, was published by Portobello in 2015. Eleanor Marx hailed it in the New Statesman as 'an extended and immersive piece of investigative journalism,' while Bridget Christie chose it as one of her books of the year in the Guardian, declaring that 'young girls and women everywhere should have a copy.' Criado Perez is also an award-winning feminist campaigner. Her most notable campaigns have included co-founding The Women's Room, getting a woman on Bank of England banknotes, forcing Twitter to revise its procedures for dealing with abuse and successfully campaigning for a statue of suffragist Millicent Fawcett to be erected in Parliament Square. She was the 2013 recipient of the Liberty Human Rights Campaigner of the Year award, and was named an OBE in the Queen's Birthday Honours 2015. She lives in London.